This vintage machine uses a die-cast, two-piece housing for additional strength and precision. The unique bearing surface in the housing provides a rigid string post enhancing the alignment of the gear and worm. The 14:1 gear ratio provides for fine tuning. Gold P-GRV-135G Bottom Diameter 0.39 in. Gold P-GRV-135G Weight 0.53 lbs. Nickel P-GRV-135N Weight 0.52 lbs. All models Packaging Dimensions 9 in. x 4.8 in. x 0.8 in. 1 answers Are the tuners made for gibson standard 10mm holes? Yes. You can view more information in the Specification Sheet for this product. These will accept a tuner shaft diameter of 10mm. You will want to measure your existing tuners to insure a proper fit. Also, you will most likely need to add 6 additional holes (one for each tuner) to the back of your headstock since Rotomatics only have one set-screw per tuner. 1 answers For PRS Singlecut 2000 suits? These will accept a tuner shaft diameter of 10mm. You will want to measure your existing tuners or tuner holes to insure a proper fit. 1 answers Do the posts on these get bigger diameter towards the body? I have an old Gibson, and it has narrow holes. These tuners accepts a 10mm tuner shaft. 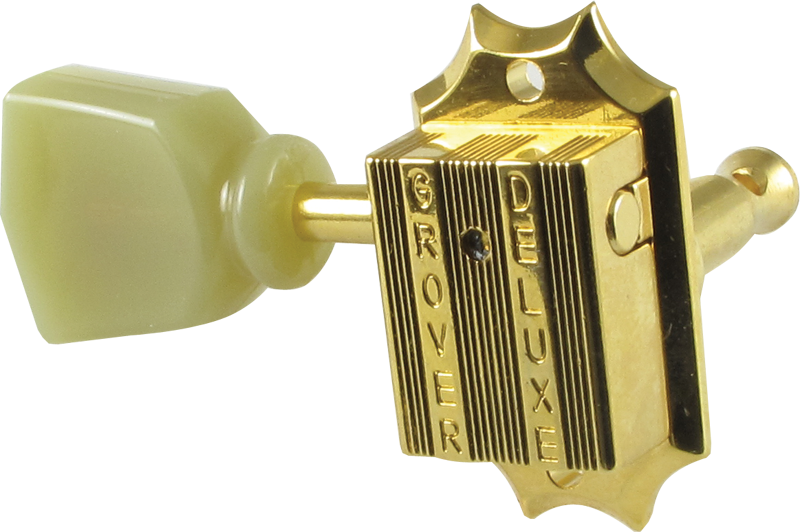 For an older Gibson we recommend you look at the Kluson or Gotoh offerings as they are often to vintage specs. The price is for all 6 tuners. 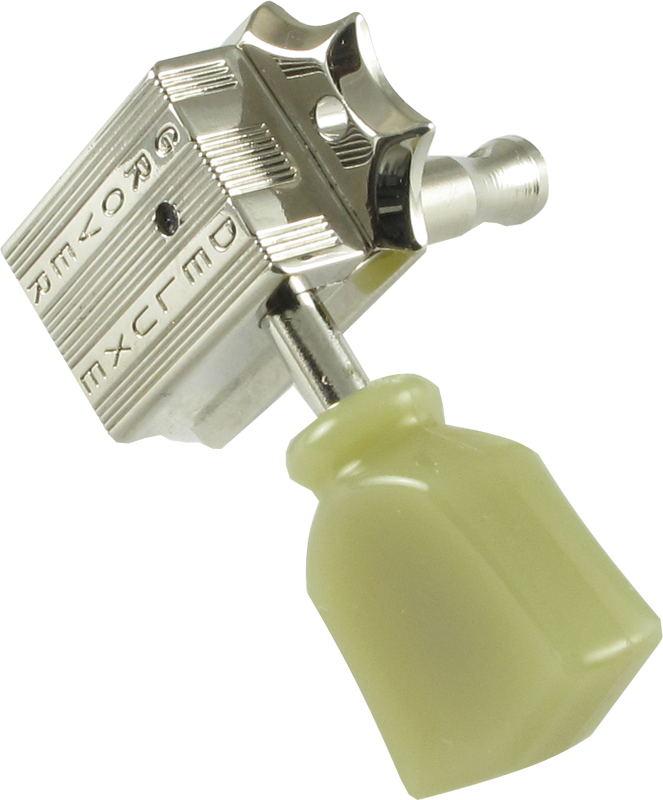 The tuners have a 10mm shaft diameter and you will want to measure your tuner holes to insure a proper fit. 1 answers Are these made in the USA? These are made in South Korea. These are a drop in replacement for stock Gibson Deluxe tuners that came on my '18 Gibson SG Special. They look identical except for 'gibson' replaced with 'grover' on the back. Why did I replace the stock ones? Because 2 of them came dead on arrival - like the gear was not tight to the post. Looks like the same part, except the workers at grover care enough to tighten the gear to the shaft before selling them. Enjoy your bankruptcy Gibson and thanks Amplified!